A pedestrian who died in a suspected hit-and-run has been named by police. Rhys Dovson, 19, was struck on Varteg Road, Blaenavon, at about 03:20 BST on Sunday and confirmed dead at the scene. 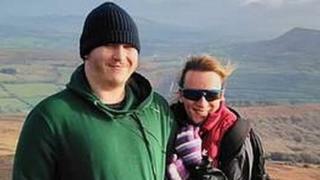 Mr Dobson, from the Pontypool area, was described by family as a "cherished son". A 36-year-old man arrested on suspicion of causing death by driving without due care and attention, and failing to remain at the scene, has been released under investigation. The family statement said: "As parents we are devastated to lose our cherished son who was just starting out in his adult life. "We thank our friends and family and Gwent Police for their professionalism and compassion. "We will always love him. We ask that people kindly respect our privacy in this difficult time." Officers are appealing for information and want to hear from the driver of a black taxi which was seen in the area near the time of the crash.